Picture 113, originally uploaded by jeremiah_owyang. Robert Scoble swaps stories with Bob Duffy of Intel’s Open Port IT community. 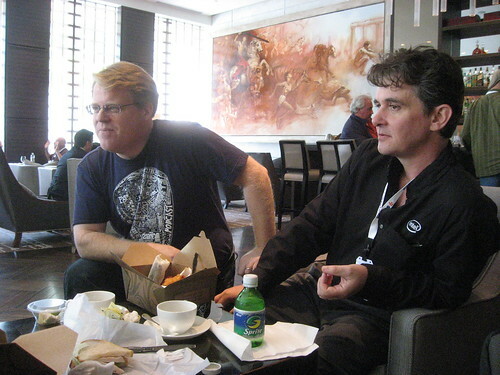 Duffy and Intel IT pro Josh Hilliker got to meet Scoble and Jeremiah Owyang at the Office 2.0 gathering this week in SF. Wish I was there!